A bioengineering company has announced it has successfully completed ten cornea implants. Cellular Bioengineering, based in Honolulu, used artificial corneas manufactured from a patented material manufactured locally. Its initial set of surgeries took place on human patients aged between 16 and 75, according to Pacific Business News. Corneal transplant is used to restore people"s sight and currently a healthy cornea costs around $5,000 (£2,500), he said. I think thats very significant." "This is a world-class effort." 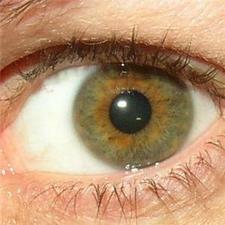 There are currently 10 million people worldwide with corneal blindness due to the lack of adequate organ donors. Cellular Bioengineering Inc. has the worldwide license for the development of a bio-integrating polymer corneal substitute which aims to return the gift of sight to these people. Currently under clinical development, the initial cohort of patients in pilot trials show promising results. The cornea is the transparent part of the eyeball at the front, right in the spot where people place their contact lenses.